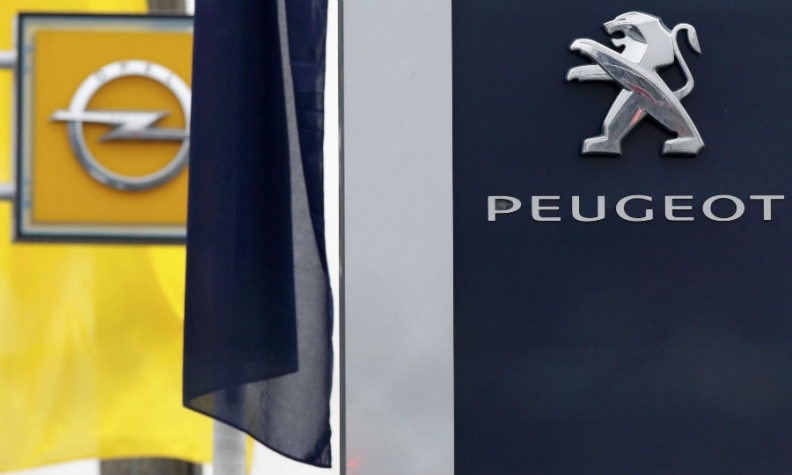 PARIS -- PSA Group is in talks to build Toyota-owned supplier Aisin's automatic gearboxes at one of its own plants, company sources told Reuters, in what would be an early reward for the Peugeot maker's purchase of Opel. The combined scale of PSA and Opel has added impetus to negotiations with Aisin, the three sources said, helping to overcome the Japanese company's reservations. The Opel acquisition announced in March, which valued the General Motors business at 2.2 billion euros ($2.44 billion), brings "a larger sales volume and therefore more profitability for an investment," one source said. PSA currently buys six- and eight-speed Aisin gearboxes made in Japan and China for its Peugeot, Citroen and DS brands. Assembling the six-speed in France would secure a competitive supply, reduce currency risk and help fill its own plants. For Aisin, 34 percent-owned by Toyota and affiliates, it would establish a first European production base amid growing demand for automatic gearboxes, which currently equip about one in five PSA cars sold. Automatics are less popular in Europe than in the United States, but their growth is set to accelerate with tighter emissions rules and demand for electric, hybrid and increasingly automated cars, to which manual gearboxes are unsuited. PSA and Aisin both declined to comment, but Aisin has previously signalled an openness to partnerships. "We're absolutely not averse to joint programs with non-Toyota companies," President Yasumori Ihara said in January, the same month that PSA CEO Carlos Tavares told workers at his company's Metz transmissions plant that an unspecified production deal was under consideration. But the proposal had made little headway until the tie-up with Opel, the sources said. An agreement could now be finalized within months, subject to successful closing of the Opel acquisition later in the year, and PSA managers may discuss the plans with unions in works council meetings next month. PSA plans to redevelop future Opels with its own technology - as three models already have been under an earlier partnership - boosting purchasing clout and economies of scale. Bringing production of automatic gearboxes in-house underlines their importance. Under Tavares, PSA has been outsourcing activities including some research and development to prioritize core profitability and future growth areas. One option would be for PSA and Aisin to invest jointly in a new production line at a French site. But PSA-owned production under license is more likely, reflecting the Japanese supplier's wariness over investing, sources said. That could evolve into a joint venture or outright sale once the plan had proved its worth. Either way, the production investment would pit PSA's Tremery factory near Metz, eastern France, against the northern Valenciennes plant. While Valenciennes has more automatic gearbox expertise, Metz has more spare capacity. "There's easily enough room on the Metz site," said Christian Lafaye, an official with the Force Ouvriere union. "They can come and install their tooling tomorrow if they want."